Beautiful renovated apartment of 7 people in residence with summer pool. Downstairs: bedroom with 2 bunk beds and 3 large drawers, s. bathroom with bath, separate toilet, closet, cloakroom, living room with sofa that unfolds, new wooden kichenette fully equipped. On the floor: room with a bed of 2 pers and 1 bed of 1 pers. Velux and sub-slope on one side. Mountain decoration. 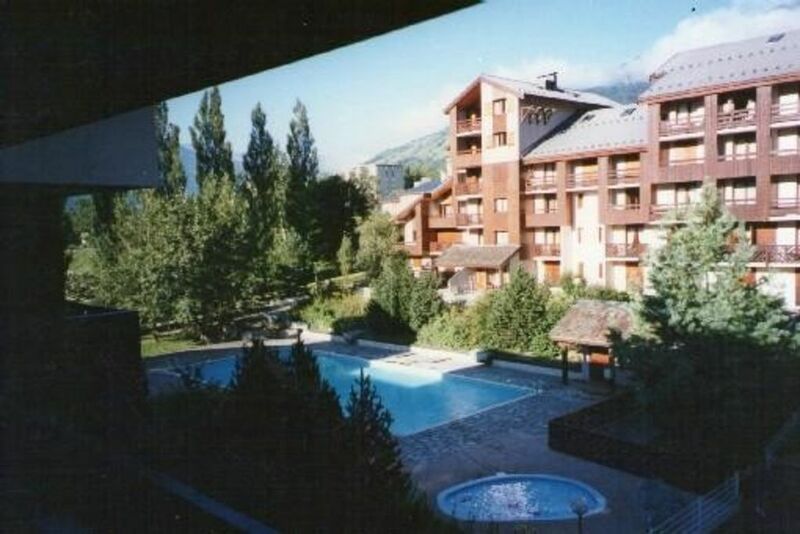 The residence is just 350m from the funicular which makes 7 minutes to reach the slopes of Arcs 1600. The packages will take the funicular. Can rent, or the funicular Arcs 1600 ski locker for people from the train. Alongside the funicular, is a wooded area with a creek, fitness trails, walks and games for children.